Business activities for your start-up, small, medium-size and global companies to reach sales targets. Business frameworks, processes and models to maximize the closing of new contracts or renewing existing partnerships. A foundation for your sales division. Providing pillars and fundamental keys to organize your sales teams to reach goals. Your marketing plans, events and pipelines ; finding new clients, penetrating new countries with Pragmatic Sales Solutions to start and develop your business. Your sales workforce, giving conferences to share my business insights and auditing your current sales organization towards excellence. I found Nicolas to be incredibly knowledgeable, enthusiastic, friendly and committed to providing the best service he possibly can. He is a fantastic advocate for his business and our industry as a whole and I, for one, would not hesitate to work with Nicolas. 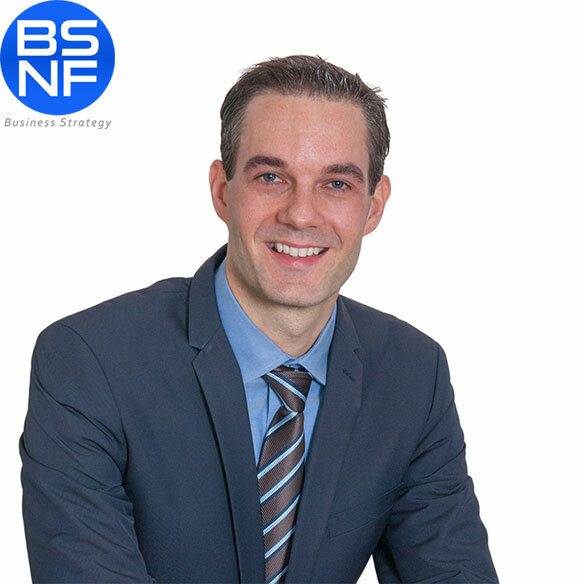 Nicolas is an experienced professional in providing scientific services to major clients across Europe. His considerable expertise and understanding of the markets in which his clients operate allow him to quickly and effectively design an appropriate support package tailored to the needs of each client. He is well qualified to work with clients across a range of industries throughout Europe. I am happy to recommend him to any company in need of well-designed and targeted scientific support. I collaborated with Nicolas during several years, in various contexts of quality management and scientific business. His level of technical skills is very high, he is extremely responsive to the understanding and the satisfaction of needs. He manages the projects with the various departments of the company in an efficient way. He knows how to create and maintain a strong link with his customers. He is loyal, persevering and diplomatic. He creates a friendly atmosphere of work. I recommend him warmly in the commercial and scientific domains. Throughout my professional career, I have had the opportunity of working with several business men. Nicolas Fluder is one of the brightest person that I have met for his cleverness inside the company and his efficacity during face-to-face meetings. His business pugnacity and technical background allow him to achieve results and lead different challenges. With his talent, I am sure he will succeed in his future goals and I strongly recommend him. I have found Nicolas to be very conscientious and eager to learn to communicate professionally. He is determined to master his language skills so as to work efficiently with his clients at his job. He is very proficient in his work and I have every confidence in him to achieve his goals. It’s been a pleasure working with you! Nicolas’ worldwide business market knowledge is impressive. Thanks to his knowledge, he is able to reach new potential clients really fast. Then, with his technics and sales abilities, he transforms the potential client into a long term one. The business strategy of any company can be reached thanks to Nicolas. Thanks to a personalized event at Brussels, the NAREDI members got an excellent opportunity to discover the worldwide services. Thank you, Nicolas, for this excellent and to-the-point presentation. Look forward to enhancing this fruitful collaboration! I studied together with Nicolas during my master program in France, and I remember Nicolas to be very enthusiastic and self-driven person. I appreciate Nicolas’ determination, commitment and great communication skills, thanks to which cooperation with Nicolas was very effective and smooth. Definitely, Nicolas’ professional approach, ability to work with people and sense of humor, make Nicolas a great addition to any team. I believe that the skills Nicolas possesses will make him successful in his professional life. Again, it was a great pleasure to study with Nicolas ! Efficacy, efficiency, highly competent, skilled … he is there just when you need help … are some words I can use to describe Nicolas.